(Mt Pleasant, IA) – If having our Comedy Improv Agents near kids at Wilton wasn’t scary enough, WACO invited Comics In Action to perform down there for their after prom party! 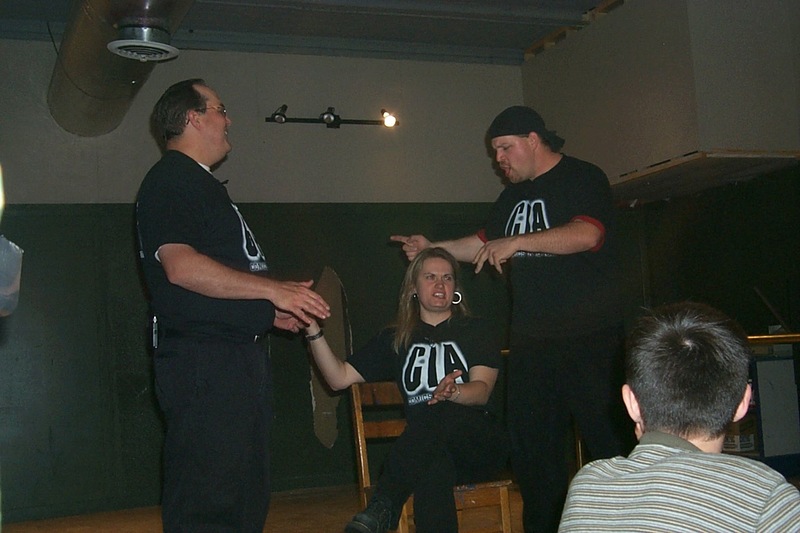 During the improv show, we learned the dangers of inviting a platypus to your party, how to “feel the love” when swimming at a farm with Agent Wastaman and Agent Spoon. To top it off, we learned salmon is a much tougher idea to convey than we thought. One more thing — seriously, WACO, what’s up with the suggestion of ‘turkey’ in every game?